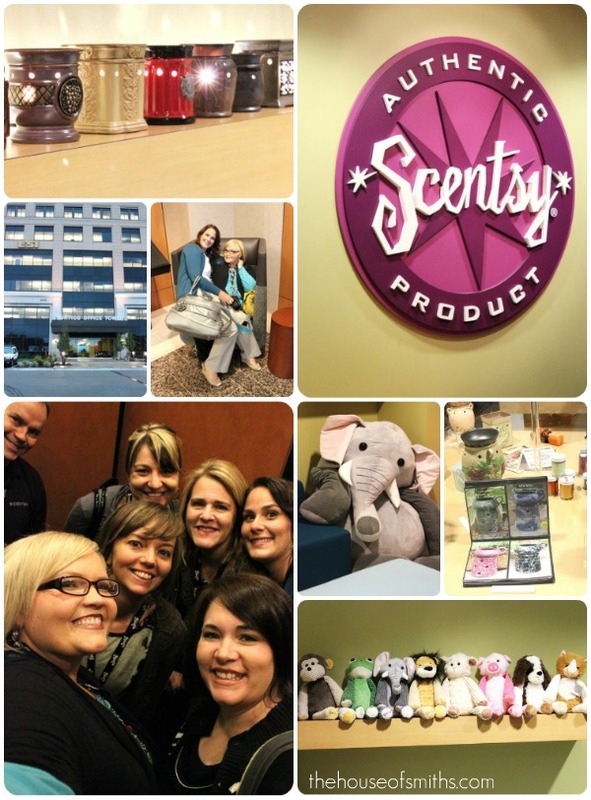 Scentsy Headquarters - An Aroma Extravaganza! 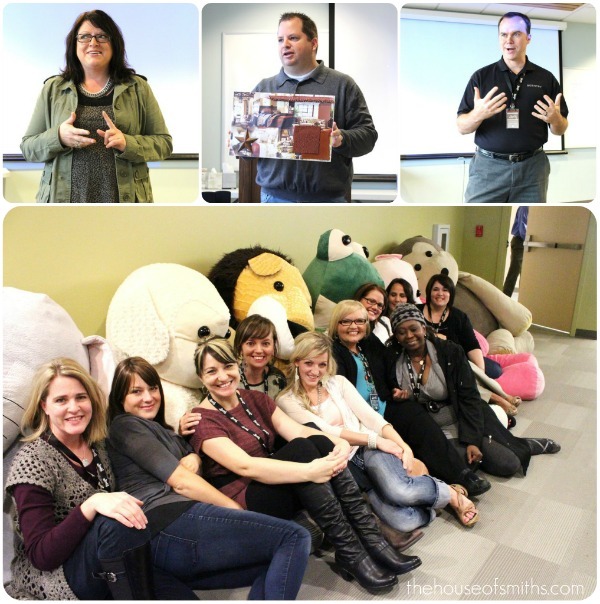 A few weekends ago I was invited by the fabulous people at Scentsy to Meridian Idaho, for the ultimate Scentsy experience! I'm guessing that most of you know, but for those of you who don't... Scentsy is the industry's leader in the wickless candle and ceramic warmer business. 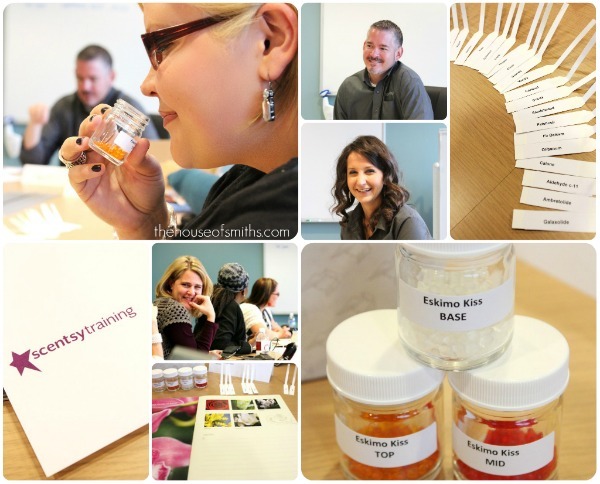 If you've read our blog long enough you KNOW that we are already super-fans of Scentsy, so I was beyond thrilled to head out to Idaho to hear more for myself what Scentsy was all about. Little did I know, I was in for a real treat! 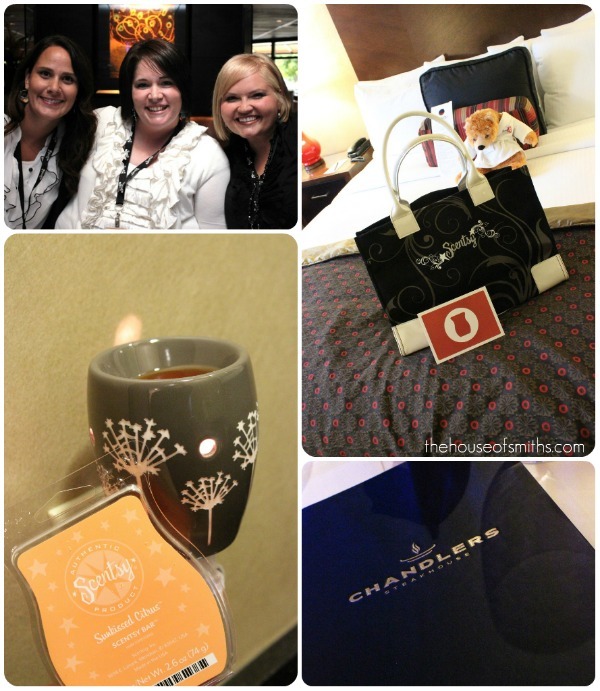 After a short plane ride I headed to Hotel 43 to get settled in before meeting up with a few other bloggers and some of the Scentsy executives. My first clue that this trip would be full of fabulous things to come, was when I first walked into my room. The cute Scentsy girls already had one of their adorable new plug-ins and my most favorite scent (Sunkissed Citrus) melting, making it feel just like home. It was SUCH a nice surprise! After fighting the urge to just flop on the bed and take a nap for 2 days, in my yummy smelling room (ha! ), I headed down to meet everyone for dinner! 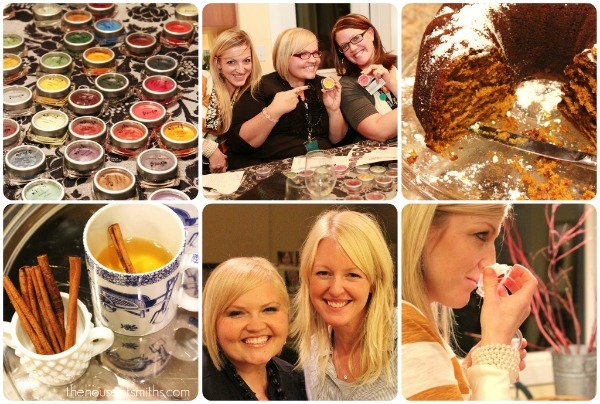 Afterwards we split up and headed to an actual Scentsy party at a consultants home. 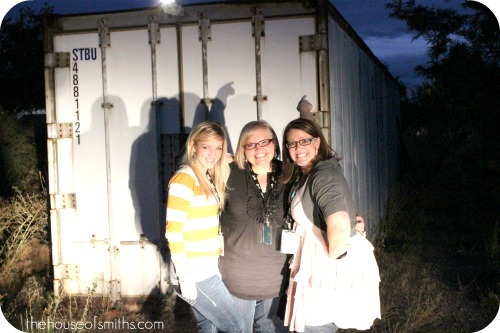 On the way there we even took a quick detour to the old shipping container that the Thompson's first started making their Scentsy bars in, when they didn't have anywhere else to produce their products. The party was so fun. We were able to smell all the amazing products, brows through pages of beautiful warmers and purchase a bunch of items from Scentsy's new catalog. Lindsay was the perfect host and a total trooper for letting all of us crazy bloggers bombard her house for the night. 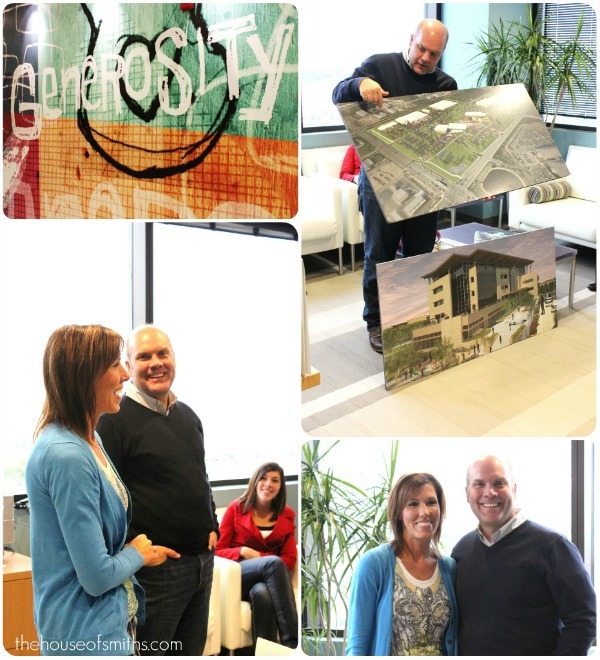 We started out by touring the Scentsy headquarters and meeting the creative directors, designers and savvy business people who make Scentsy run. Afterwards we got the chance to visit with Orville and Heidi and even go through the standard "fragrance training" class that Scentsy requires for most of their employees. It was an awesome experience, and I'm more then honored to be able to share with all of you how truly amazing the Scentsy corporation really is. I must say that I've never felt more happiness, enthusiasm, passion, drive or generosity in any other company that I've had a chance to work with. 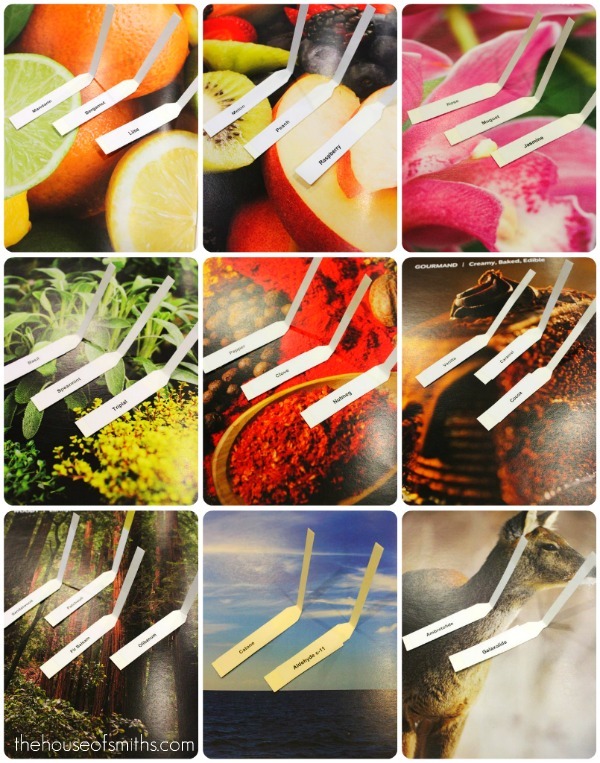 Thank you Scentsy, for sharing your aromatic world with me. I can't wait to get my new products and delicious smells in the mail soon! Awesome...Awesome...Awesome, thanks so much for educating me on the world of Scentsy, of course I have purchased many of their products and love everyone of them. Just received an order that I purchased yesterday!!!!! Happy Monday to you as well!!! I also just discovered scentsy and I love it! What an awesome opportunity!!! You'll have to share which scents are your new favs! Isn't Scentsy the greatist? I'm sooo envious of your trip. I went to one party and I was hooked. I went home and researched the company, and became a conaultant right away. It's awesome! I love it. I live a hop, skip & a jump from Scentsy's new HQ's and I am SO bummed I didn't know all you fabulous ladies were in my town :). I would have stalked you at least and met up with you at best :D. It's been fun to watch this 'local' business grow and I'm not going to read a little more about The Thompsons. And not that you asked, but my favorite Scentsy product is their plug-in warmers and my favorite scent right now is Citrus Sweet Tea :D.
I love Scentsy! They smell so good! Lucky girl!! I have been a Scentsy consultant for 3 years and should be promoted to Director this month. I got the chance to meet Orville and Heidi about 2.5 years ago and they are so genuine and wonderful! I would love to take a Scentsy tour! How fun!! This is like a dream for me. My sister is an consultant, which is just fuel to the scentsy addict's fire...but I love every aspect to this company!! Glad you had so much fun!